Earlier in the year I was commissioned to design this character, and illustrate the cover to its debut comic. 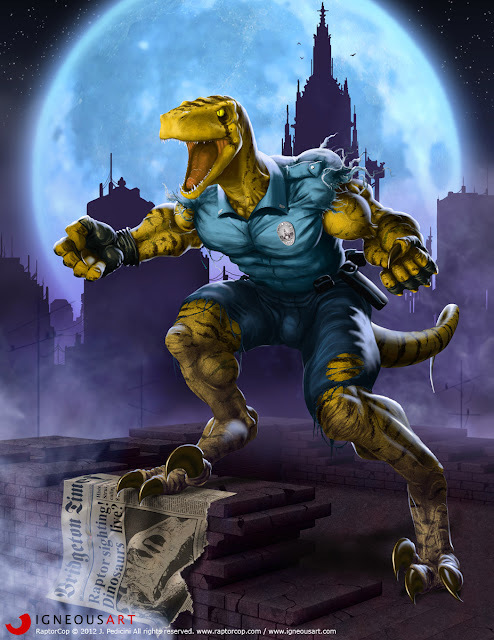 Enter: RaptorCop, a police officer that turns into a creature resembling a Utah Raptor / human hybrid. So far, this cover is the only thing that has been published online. I'm looking forward to seeing the complete package announced at www.raptorcop.com.